Not all hosting is equal! Let our experience be a guide in choosing your next WordPress website hosting provider. Join Nimbus Themes in using the very best managed hosting for WordPress sites. We switched to Kinsta in 2016 and it was the best business decision we could make. Our sites load faster. Our uptime is more consistent. But most of all, any support concern I’ve brought to Kinsta has been addressed promptly and with great professionalism. 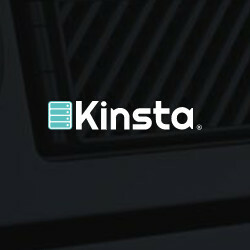 Kinsta is top-notch hosting for WordPress! 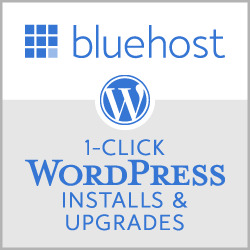 Bluehost is part of a very small group of hosts that have been officially recommended by WordPress.org and are described as one of “the best and brightest of the hosting world.” For this reason, and many others, Bluehost has become the go-to host for WordPress websites for many in the industry. It offers pricing as low as $4.95/mo, unlimited domain hosting, unlimited email and much-much more! Founded in the year 2003, AccuWeb Hosting is a US based web hosting company, providing the most Affordable and Reliable hosting solutions to customers across the world. AccuWeb Hosting provides Managed WordPress Hosting Plans where you get pre-installed WordPress with SEO and Caching plugins with cPanel. AccuWeb Hosting also provides free WordPress hosting plan for life. AccWeb Hosting is a one stop shop for all of your Hosting needs which include Dedicated Servers, VPS Hosting, Shared Hosting, Cloud Hosting, Domain Registration, Anti-Spam services, SSL Certificates and much more. 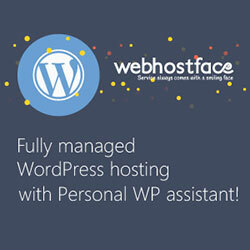 WebHostFace offers a completely new type of fully Managed WordPress hosting solutions that come with a personal WP assistant who will help the client with his site development, speed, SEO optimization and much more. To give you a better idea, imagine that you have a WordPress website or are looking to start a new one. Your personal WP assistant will help you with the process of making your website popular and with its development. Every optimization will be performed manually and according to the specifics of each particular website. All this comes on an incredibly powerful pure SSD servers with Nginx and http/2 over SSL for optimal performance of WordPress websites. While InMotion Hosting has awesome hardware, our true talent comes from our associates. Our team of web hosting experts averages 4 years of professional hosting experience. On top of that, all our support staff undergoes a rigorous internal training program – no support associate can man our chat, phone or support emails unless they have at least 160 hours of internal training on subjects such as the LAMP stack, email clients, CentOS and everything in between. If that’s not enough, our management team is composed of technology experts who average 10+ years of web hosting expertise. That is some serious street cred. We also strive to keep our associates happy through team outings, free lunches, annual picnics and more – because we know a happy associate is more likely to treat a customer well. We also pride ourselves on being one of the few top hosting companies that are still privately held! 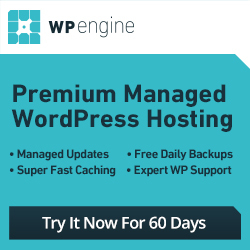 WP Engine advertises itself as providing “insanely fast” hosting with “robust scalabilty.” As far as we’re concerned, it doesn’t under-deliver in the least. 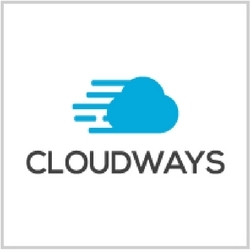 It’s the new kid on the block, providing a cutting-edge product that includes built-in caching and automated backups. WP Engine is so confident in its security that if your website is hacked, it will take care of the cleanup. It may not be the cheapest option, but it might just provide the most bang for your buck. Nimbus Themes receives compensation for customers referred from the Nimbus Themes website to the hosting providers on this page. In order to maintain high service and security standards, we only promote service providers we truly believe in and do business with.